Pleased as punch to reveal my brand new single 'No Ordinary'! Recorded at Love HZ studios with Josh Schuberth (Josh Pyke) and featuring my tremendous band of Russell Crawford (Drums), Brian Crouch (Keys), Dave Hatt (Guitars) and Dave Keys (Bass). It's as big a Guitar pop song song you'll get out of me and I couldn’t be happier with this outcome. Please share, buy and add to your favourite playlists. That’s the best way to support indie fellas like me. Thank YOU! Story: In 2005, I visited the Philippine for the very 1st time since migrating to Australia in the late 80's. I occasionally took a peek at the music scene there, out of a mixture of curiosity and Homeland pride. Besides a few choice bands (e.g. Eraserheads, Sandwich, Bamboo), I was largely underwhelmed. Then one day in my father's home town of Baguio City, I discovered this shaggy haired band called Orange & Lemon on a music TV channel. Was blown away at their classic pop melodicism and how 'Anglo' they sounded, with references to bands like The Beatles, XTC & The Smiths. I was hooked and felt great at discovering a fellow Filipino band that shared the same pop sensibilities as me. Their now legendary status and continued popularity back home does not surprise me one bit. Fast forward to 2018 and I'm now label mates with this amazing band and even happier to say are now good friends. In October this year I get the privilege of bringing this amazing group to Australia and get the chance to support them on their 1st Aussie tour. Will be great to have your support for these shows and have you experience quality indie music out of the Asian shores. 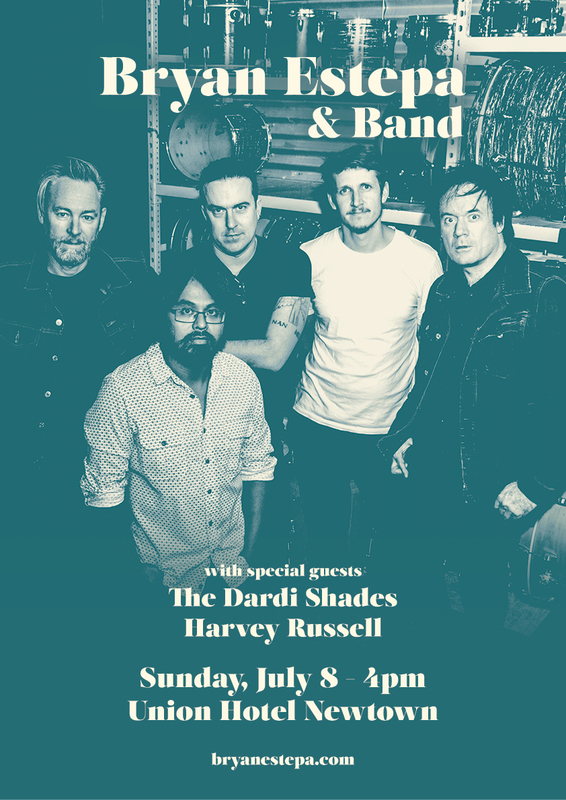 Here's our first headline gig for the year on Sunday, July 8. Back at the excellent Union Hotel Newtown with our esteemed buddies The Dardi Shades & Harvey Russell (of Peasant Moon). It's also the first gig with this BE band lineup since late 2014, so I'm pretty chuffed. These fellas are special. Hope to see you there! The classic 5 piece Estepa band is back and reunited for 2018. We're brewing something new. Here we go. Coming towards the end of 2017 and it's got me thinking how my output this year has been a bit sparse and inconsistent. But it definitely did have some highlights. 1. Touring my birth country, The Philippines with Asian indie legends The Camerawalls. Amazing experience and exceeded all my expectations. Thanks Clem, Law, Bach, Venj & Antonette especially. 2. Playing with my Tempe Two mates in Dave Keys & Russell Crawford. Though we hardly play together, it always feels just right when we do. Our last gig at Staves Brewery is a prime example of this. Check out the video below. 3. Reuniting with Michael Carpenter - Record Producer after a decade and recording my last single 'Rattled and Rolled'. Always a pleasure working with this juggernaut. And I think the song goes alright too! 4. Having an unexpected reunion with my old band The Hazeys. It's been brilliant so far. Big things for 2018 planned - Look out! 5. 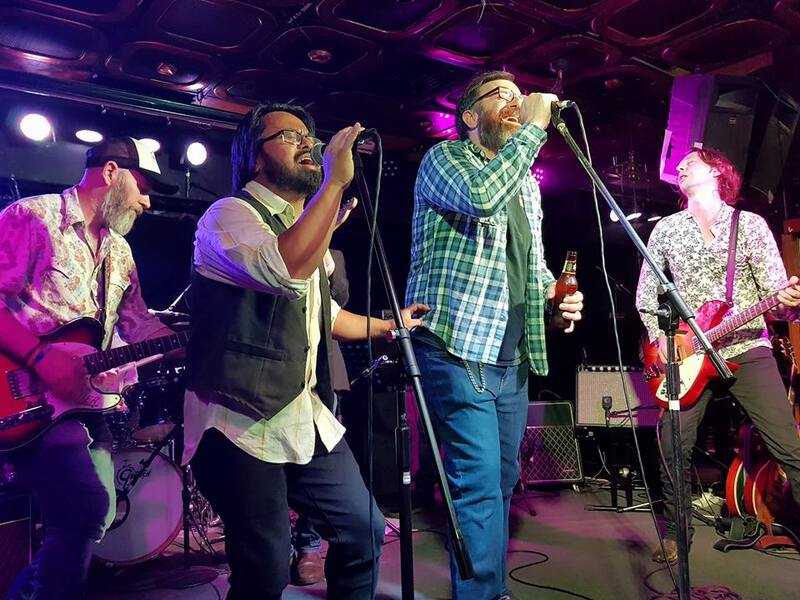 Singing Tom Petty tunes with some of Sydney's finest. TP's loss was a blow but this event went a long way to ease some of the pain. So that's it for the year. Thanks for all those who supported my music in one way or another. Always grateful. Here's to a great 2018 for the lot of us! The Tempe Two and I are coming back to the Union Hotel Newtown on Sunday, August 13. Supporting our friends from Fallon Cush for their single launch. Perfect tonic to end the weekend friends. Here it is folks...the brand new music video for 'Rattled and Rolled'! Features footage from my Philippine Tour earlier this year and the recording session at Love Hz Studios. Excited to have this out to the world. Please share if yer digging it! It's been over a decade since I had the privilege of working on my debut solo record 'All the Bells and Whistles' with local legend and good mate of mine in Michael Carpenter. So on a beautiful Autumn day in April, we reunited in his inspiring studio (Love Hz) and recorded this track called 'Rattled and Rolled'. With no rehearsals and all instruments played between us, this song was recorded, mixed and mastered in just over 8 hours! This is the beauty of working with a guy as tremendous as MC. Extremely happy at the final result. The single artwork by talented Manila artist Tissa Pagaduan. At this stage there is no album planned for release (but I'm sure that will change in the near future!) so this Digital only single will be available for sale on my Bandcamp store, itunes, Spotify and other music streaming services. Profit from the Bandcamp & Itunes sales of this single will be donated to the great folks at The Heart Foundation, a charity that focuses on research and prevention of Heart disease. I sadly lost my father to the effects of this disease earlier this year and want to support this important and worthwhile organisation. Your support of my music will also support studies into a disease that I'm sure has touched you in some way. My sincerest thanks in advance. Been a few days now since I've been home from the Philippines Tour and I'm still on a high. What an experience! Really had no idea what I was in for and boy did it give out the goodies in spades. Thanks a million to my tour mates, the amazing 'The Camerawalls', Tonette Maniquis, all the venues and promoters and to my family, friends and fans who came to the shows. Maraming Salamat Pinas. I'll be back! I am beyond thrilled to announce my 1st ever tour of my motherland - The Philippines, starting on the 15th March, 2017. This homecoming tour will see me play a couple of shows to promote my current record 'Every Little Thing' and songs from my back catalog of 5 solo albums. 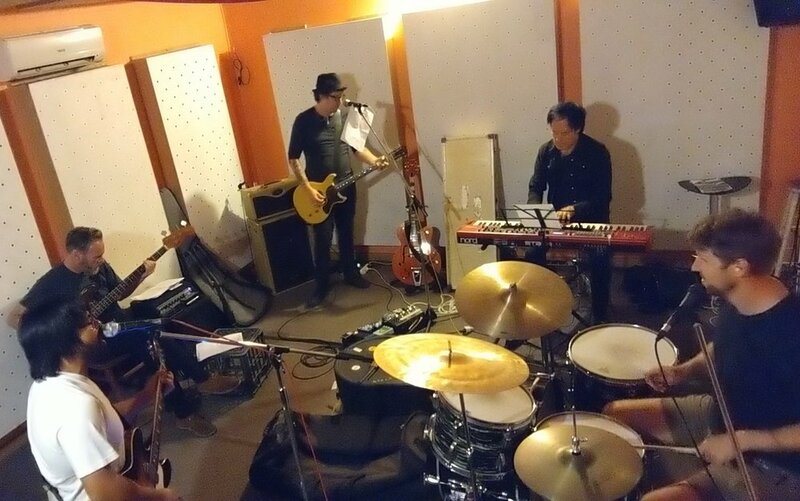 I will have the honour of having in my touring band the members of legendary Asian Indie band The Camerawalls, in Clem Castro, Venj Gatmaitan, Law Santiago & Bach Rudica. I also get to be a part of their massive event The Camerawalls: Above The Weather which will kick off the tour in a huge way. I was born in The Philippines and have been away for 30 years. But this country is still a very big part of who I am and my unshakable roots. So, I really hope to see you at one of the shows and excited to meet a whole lot of new friends along the way. Signing off on 2016 a tad early. This year has been superb making music with The Tempe Two (Russell Crawford & Dave Keys) & my other muso mates who joined us at various times. Not a dull R&R moment was had. My highlight has definitely been releasing 'Every Little Thing' (have you seen the 'making of' video below?!) and getting to play the tunes live. Your support for the record is very much appreciated. Grateful is an understatement. So there's some big things planned for next year. One in particular that's very close to my heart, which I'll give more info about shortly. It's gonna be a good year 2017. Thrilled to announce that I'll be supporting Jason Walker for the Sydney album launch of his brilliant new record 'All Night Ghost Town'. 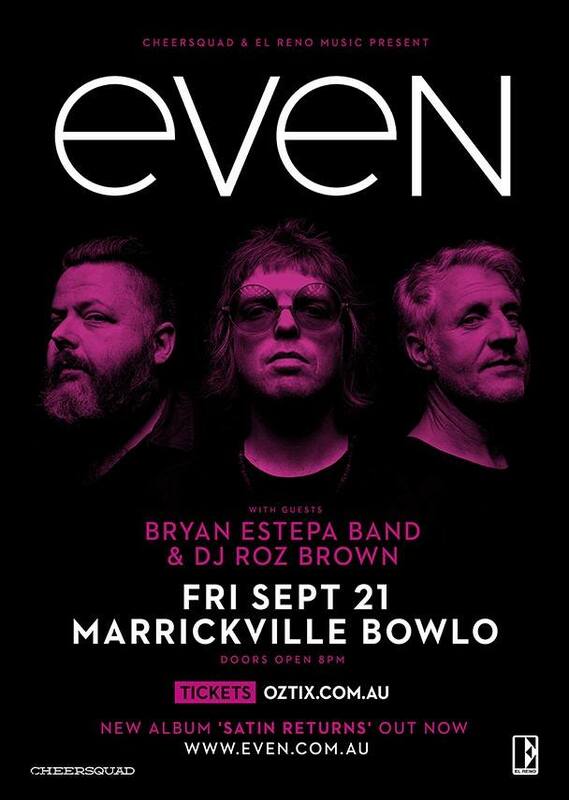 Sat, Oct 15 at Marrickville bowling club. Jason for a long time has been a friend, musical compatriot and a constant source of inspiration to my music life. So very happy to play this show! Here it is folks, the brand new music video for our new single 'Practice What You Preach'. Watch and Share my friends! Very excited for the next show mates. The launch for our next single 'Practice What You Preach'! The show will be on Saturday, September 3 at The Gasoline Pony Marrickville. Special guests will be my friends and 2 of Sydney's finest singer-songwriters in Adam Young & Buddy Glass. Quality tunesmiths. Look out for the music video for 'Practice What You Preach'. More on that soon. Excited to be back at the very cool The Midnight Special on Sunday, July 24. Joining us will be the fab singer-songwriter Danny Yau. Music starts at 7pm. Free show! 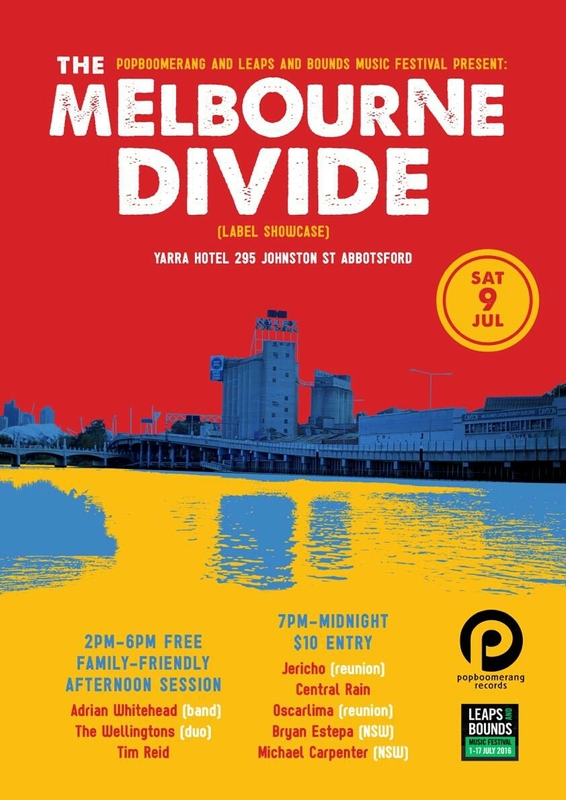 Pleased as punch to announce that I'll be launching 'Every Little Thing' in Melbourne on Sat, July 9 as part of the The Melbourne Divide/Leaps and Bounds Festival. Joining me for this gig are a bunch I have named The Temporary Three made up of Dave Hatt -Bass, Michael Carpenter (Drums) and Peta Caswell (Backing Vox). Sadly, the Tempe Two guys can't head south with me for this gig but these guys will fill their shoes well. Scott Thurling of Popboomerang Records has put together an amazing lineup so really hope to see you at this show my Victorian mates! Our friend Karl Fernando of Mental Piracy Productions shot and directed a beautiful documentary on the creation of 'Every Little Thing'. A supeb accompaniment and great insight into the making of this record. Check it out. Every Little Thing - Out Now! Excited to announce that 'Every Little Thing' is now officially available worldwide on CD & DIGITAL! The Tempe Two boys and I are already quite chuffed at the response from those who have heard the record so far and the radio stations in different parts of the globe, that have already played tracks from it. Now we can't wait for the rest of you to hear it! Here are the links below to purchase and listen to 'Every Little Thing'. We are proud of this new album and all of the the guest artists who contributed to the music. It was magic seeing them play and to listen to the record evolve to what it is today. So we really hope you get the chance to hear this album. Would love to hear what you think of it too, so drop us a line on mail@bryanestepa.com or spread the word via social media or word of mouth. Your kind gesture will go a long way to helping us keep making music. Happy to reveal that I'm now part of the Lilystars Records roster. A great Indie music label from Manila who will now look after my entire catalogue. After being in Australia for nearly 30 years, it's nice to have a way to reconnect with the Motherland. Excited.